Preheat oven to 350 degrees. 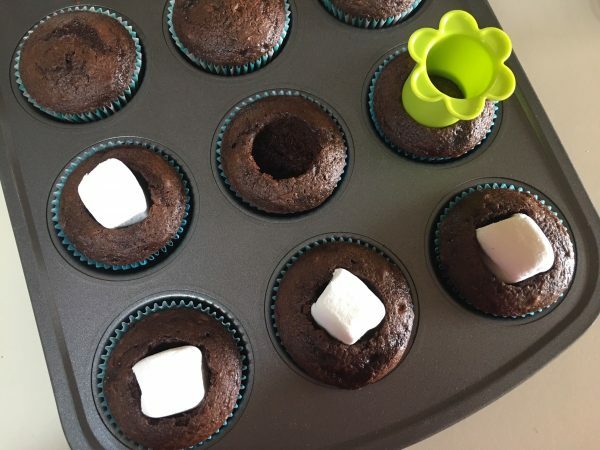 Line two 12-cup cupcake pans with cupcake liners. CAKE: Prepare Devil's Food cake mix according to package instructions. Fill each cupcake liner about two-thirds full with batter. Bake until a toothpick inserted into each cupcake comes out clean, about 12-15 minutes. Let cool for 10 minutes. 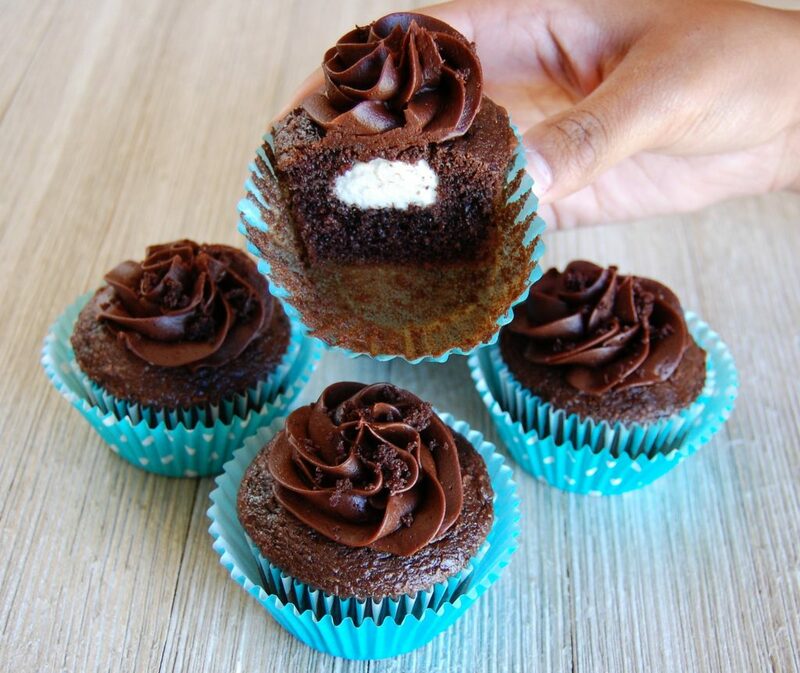 Using a cupcake corer or teaspoon, scoop a small “well” out of each cupcake (reserving cupcake crumbs for garnish). Place a marshmallow into each “well” and bake until the marshmallow puffs, about 3-5 minutes. Let cool to room temperature. FROSTING: In a large bowl using a hand mixer, beat butter, confectioners’ sugar, cocoa powder, vanilla, and salt. Beat in heavy cream (adding more by the tablespoon until consistency is creamy but can hold peaks). 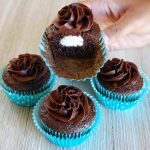 Use a piping bag with a 1M tip to pipe frosting onto cupcakes. Sprinkle cupcakes with reserved crumbs and serve.